Open floor plan with split bedroom design. Almost 1700 sq ft. Vaulted ceiling and fireplace in great room. Hardwood floors in living and kitchen. White cabinets and granite counters, built in microwave and pantry. Sliding doors to deck. 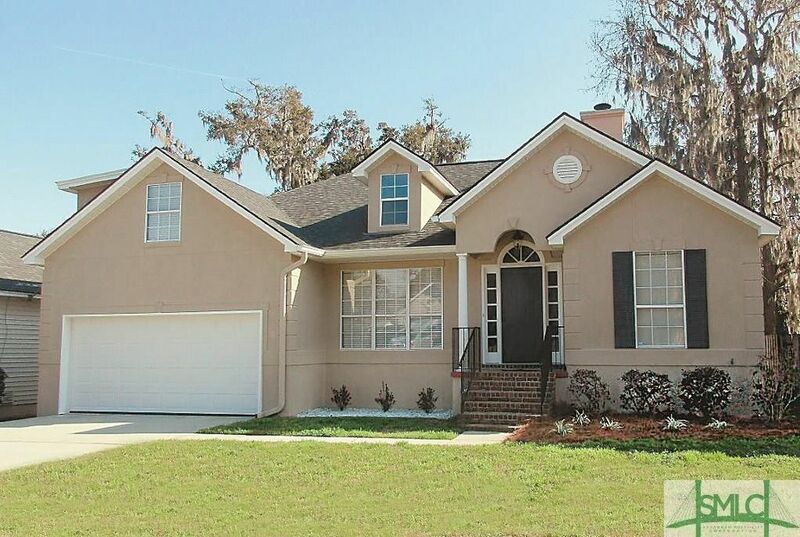 Master with walk-in closet, new updated shower and garden tub. Neutral new paint throughout.Bonus/4th bedroom has separate split system HVAC. New garage door. Deck and paver patio area. Spotless home is move in ready. Directions: Johnny Mercer to Walthour to left on Teakwood (Betz Creek entrance) - then left on Barnacle, then right on Runabout - house on right.